In the past week I’ve worked with two very different educational institutions, both interested in the same issue – what instructors, professors and administrators can do in social media to help publicize their courses. 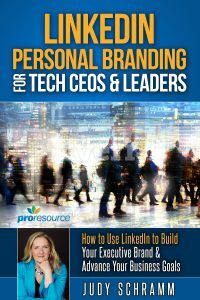 When people google you, your LinkedIn profile will be near the top of the search results. Make sure they can find information about your course on your profile. 1. Add your role as an instructor. Experience – This is the equivalent of listing your role as a current job. (You can have more than one current job.) You probably want to drag and drop this role below your primary position. Summary – Your summary is like a cover letter for your profile – use it to give people an overview of who you are and what you do. You can mention the type of course you teach, along with the name of your program. Projects – The Projects section gives you an excellent way to share the course without giving it the same status as a full-time job. Headline – Your Headline comes directly below your name, at the top of your profile. You could add Instructor or Professor at the end of your current Headline. Start with an introduction, such as “I teach a course on [course title]” and copy/paste the description from your course materials. You can add a link to the course description on the organization’s website. 2. Link to your course page. 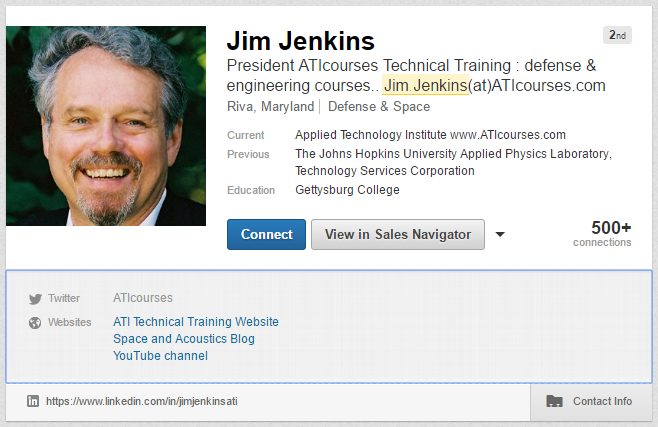 In the Contact Info section of your LinkedIn profile, you can link out to three websites. 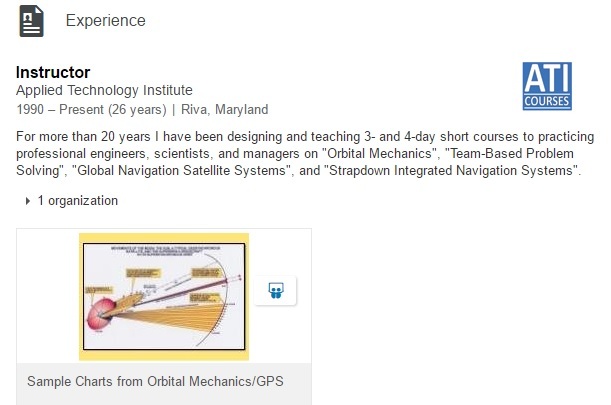 To add your course, go to Edit Profile, then click on Contact Info (just below your number of connections, next to a Rolodex card icon). Click on the pencil icon to the right of Websites to add a new site. Choose the type of website you are adding. The best option is “Other:” as that allows you to insert your own name for the link. You have 30 characters – you can use a shortened version of your course title. Then copy/paste the link to the page about your course. You might also want to include a link to the registration page or another useful page related to your course. You can upload course materials to help people better understand the content you cover. You could include a brochure about your course, PowerPoint presentations (from this course or other training), course handouts (PDFs), videos or graphics. They can be added to your Summary, Experience or Project. You can see an example of an upload above, in Tom Logsdon’s profile. 4. Add skills related to your course. LinkedIn allows you to include up to 50 skills on your profile. If your current list of skills doesn’t include the topics you cover in your course, you might want to add them. Go to the Skills & Endorsements section on your Edit Profile page, then click on Add skill. Start typing and let LinkedIn auto-complete your topic. If your exact topic isn’t included in the suggestions, you can add it. 5. Ask students for recommendations. Are you still in touch with former students who were particularly appreciative of the training you provided in your course? You might want to ask them for a recommendation that you can include on your profile. 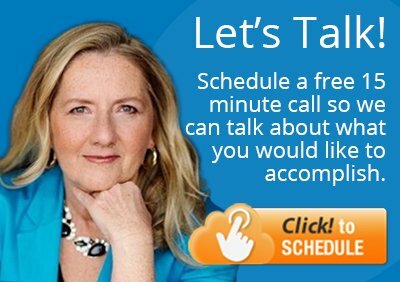 Here are some tips on asking for recommendations from LinkedIn expert Viveka Von Rosen. 6. Use an exciting background graphic. You can add a background image at the top of your profile – perhaps a photo of you teaching the course, a photo of your course materials, a graphic from your presentation, or simply some images related to your topic. You can see an example on Val Traver’s profile. Go to Edit Profile, then run your mouse over the top of the page (just above your name). You will see the option to Edit Background. Click there and upload your image. The ideal size is 1400 pixels by 425. LinkedIn prefers a JPG, PNG or GIF. Of course, only upload an image that you have permission to use. 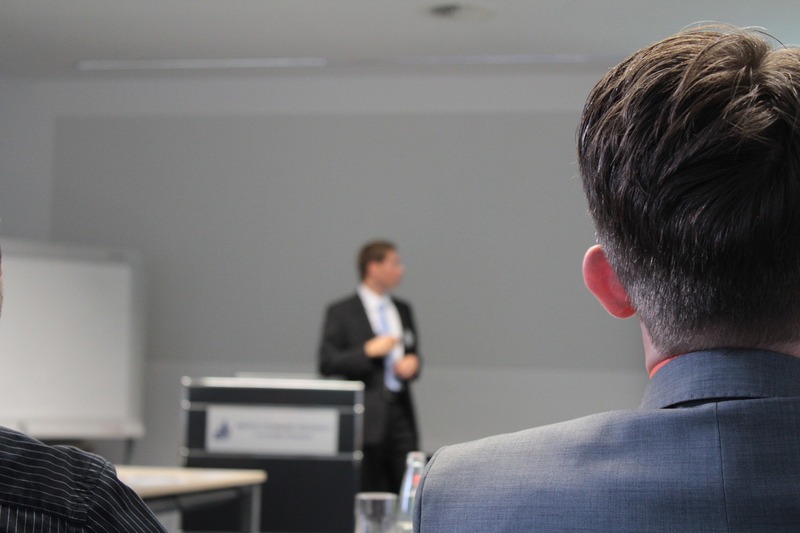 You can also use LinkedIn to attract more attendees to your course every time you teach. 7. When registration opens for the next session of your course, share the news as a status update. This reminds your connections about the course – it’s a great way to reach the individuals who are most likely to know people who could be interested and give them the opportunity to recommend it. Note that when you start typing the name of your organization after the @ sign, LinkedIn will give you the option to click on the organization name. When you do that, the organization will know you are promoting the course and can then share your post, expanding the audience that will see it. When people comment on your update, it’s nice to like their comment or reply with a “Thank you!” message. Their comment shares the update with their network, so they are giving your course publicity. If you want to start doing more with status updates, here are some good tips about what to share (and what not to share) from LinkedIn expert Kim Garst. 8. Share the news in LinkedIn Groups. If you have joined any LinkedIn Groups in your areas of expertise, share the news there too. You could also ask a thought-provoking question on one of the topics you cover. Here are some tips about how to start an interesting discussion in a LinkedIn Group. 9. Post again if you still have openings. If the course date is getting close and you are looking for more people to register, you should post again. The text below will work as a status update and in most LinkedIn Groups. 10. Blog about the topic of the course. The blog posts are pushed out to all your connections. They are made available to Google and other search engines. A blog post published on LinkedIn will rank higher than one posted elsewhere, because LinkedIn is such an authority site. So this can give your course considerable exposure. You probably have written articles or have other content relevant to the course. Pick something that is 750-1500 words. To publish it, go to your LinkedIn home page, and click on the link that says “Publish a post.” The interface is very simple – easier than using Microsoft Word. Include an image if you can. You probably have something in your training materials that will be perfect. Link the title to the web page with more information about your course. Once you have published your blog post, let the organization know you have published it. They will likely want to share your post on their LinkedIn page, and they may want to use LinkedIn Sponsored Content advertisements to make sure even more people see it. They can use the ads to put your blog post in front of the exact people who would be interested in attending. For more tips about blogging, you are welcome to join ProResource’s online training website. The How to Write Blog Posts for LinkedIn course is free. This blog post originally appeared as a guest post on the Applied Technology Institute blog. For more than 30 years, ATI has trained rocket scientists, offering short-course technical training in space, communications, defense, sonar, radar, signal processing and other related topics.